Many of the iPhone 6 users have faced a situation where their iPhone 6 won t turn on or charge suddenly. This happens for a variety of reasons and there are several factors responsible for it. The issue could have been caused due to a simple software glitch or it could have occured due to a serious physical damage to your device. In the following guide, you are going to learn what you can do when your iPhone 6 won t charge or turn on. The guide offers several methods to help you fix the issue if it is on the software side on your iPhone 6 and it also guides you what to do in case your iPhone has been physically damaged. Read on to find out all the methods to get around the issue on your device. Apple always recommends that you use high-quality and original accessories from the brand themselves. Despite the recommendation, many users go for the cheaper adapters and cables available in the market and use them with their iPhones. These cheaply made products often cause damage to your device and are not recommended for use with your Apple devices at all. The first solution is to always make sure to get the Apple certified chargers to charge your iPhones. These products are thoroughly tested by Apple and are ensured they will work well and will not cause any issues to your device. If you use an Apple certified charger but your iPhone 5S won t charge still, then perhaps it is time that you change your charging method. If you have been using, say a power bank to charge your iPhone, change it to something else, say an actual power socket to charge your device..
You may also try charging your iPhone using your Windows PC or Mac. If you have a compatible cable, you should be able to charge your iPhone without any issues. If your iPhone 6 won t turn on or charge because of a software issue on the device, there are a few methods to fix the issue and get your device to turn on and charge. Software issues can often be resolved using various tools and the following are two of the solutions that you can apply to your device and get rid of the issue. The first thing we always recommend people to do is force reboot your iPhone. When you perform a force reboot on your iPhone, what your iPhone does is it shuts down, removes RAM memory, and then turns back on. 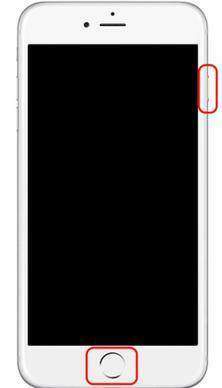 For iPhone 6s or earlier model, press and hold the Home and Power buttons together for about ten seconds. When you see the Apple logo on your screen, let go of the buttons and your iPhone will force reboot. Force rebooting the iPhone often fixes many kinds of issues that you may be facing on your device. This method is worth giving a try as it is simple and makes no data loss on the device. If the force reboot method failed to resolve your issue, another option that you have is to use a third-party software to fix the issue you are facing on your device. 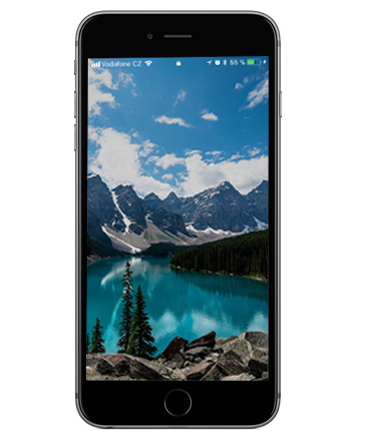 While there may be several iPhone repair software out in the market, we recommend you use ReiBoot as it has proven to be working for many users. Tenorshare ReiBoot is a software developed by Tenorshare that helps you to fix the iPhone won't turn on or charge and many other issues on your iOS-based device. With its great capabilities to deal with various kind of issues, you are highly likely to get positive results by using this software to repair your iPhone. Step 1: Download and launch the software on your computer. Plug-in your iPhone to your computer and click on the option that says Repair Operating System in the software. Step 2: Click on Start Repair on the following screen to move forward with the repair procedure. The software will ask you to download a firmware package for your iPhone. Click on the Download button in the software to do so. Step 3: Soon as the firmware is downloaded, the software will begin repairing the operating system on your device. That's all there is to repairing your problematic iPhone. The solutions mentioned above will only work if the issue is occurred due to a software glitch on your device. If your device is not turning on because of a physical damage, the following is what you can do to repair your device. If your iPhone has got wet, you need to dry it first so that all the components on the device are no longer wet. You can do so by keeping your iPhone with some dry rice for a night and that should do the job for you. If drying your iPhone didn't work for you, your last option is to visit an Apple Support center and let them help you with your issue. They should be able to tell you what issue your phone has and how you can go about fixing it. If your iPhone 6 died and wont charge or turn on, the above guide will be of tremendous use to you as it offers some of the best ways to fix an iPhone that won't turn on or charge. We really hope it helps you out with your issue.